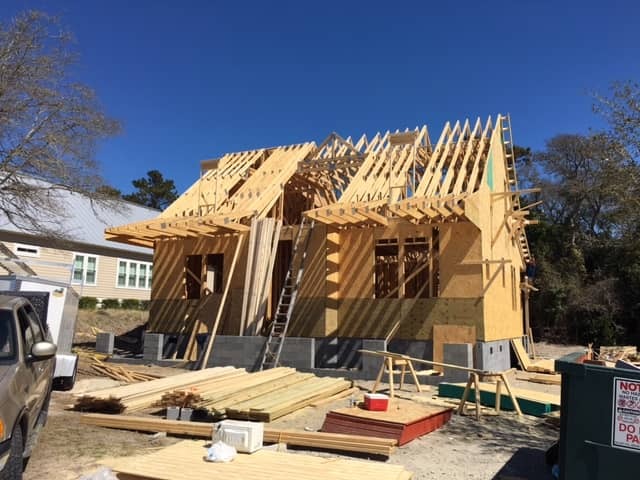 Building in Emerald Isle can be challenging but very rewarding. Having a knowledgeable builder can make all the difference. 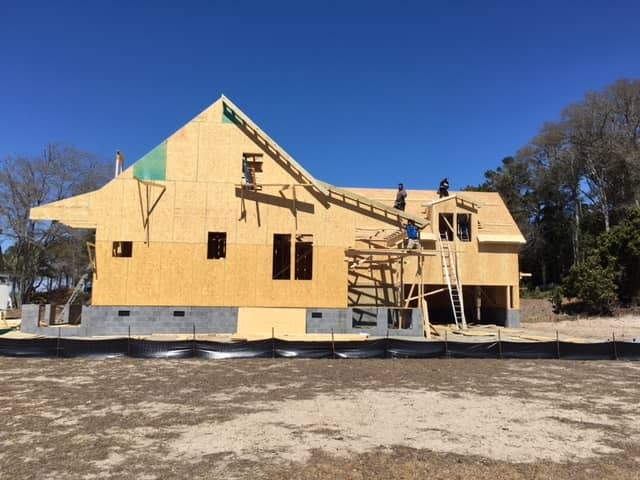 Designing and building your dream home is only part of the process. There are many aspects to consider and research when planning to build. 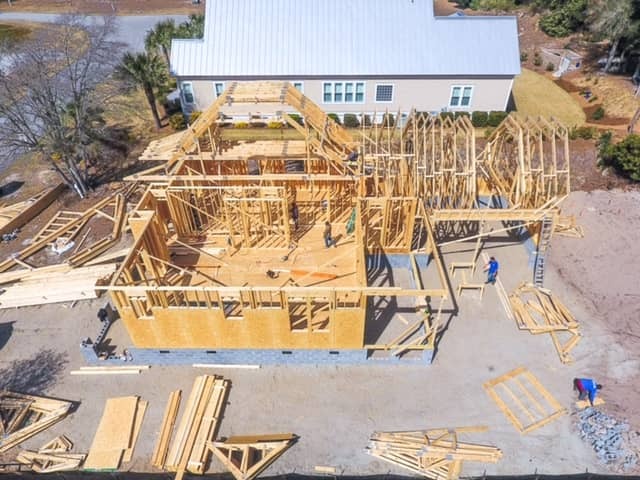 One of the first steps is to find a local surveyor who can help you with topography, septic location, natural areas, built upon areas, flood zones and wetland delineation. 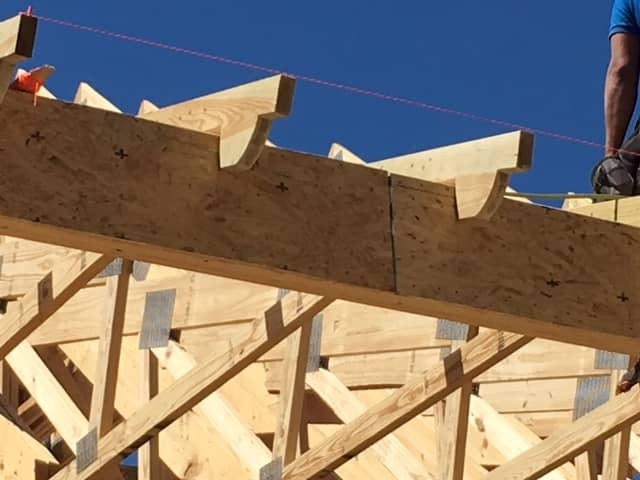 The builder will work closely with the surveyor to establish the position of the house, as well as any grading and height of the foundation. Another important step is to work with the environmental health department in finding areas that are suitable for your septic location. The location of the septic system can dictate where your house can be built. After these very important steps, the permitting process can begin. 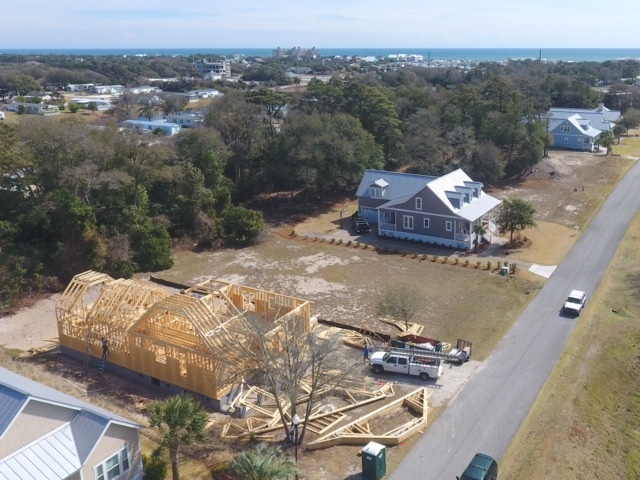 The attached pictures are of a cottage home being built in Sunset Landing on Emerald Isle by Ashley Melton Homes. The HOA requirements in this neighborhood are different than other subdivisions on the island. 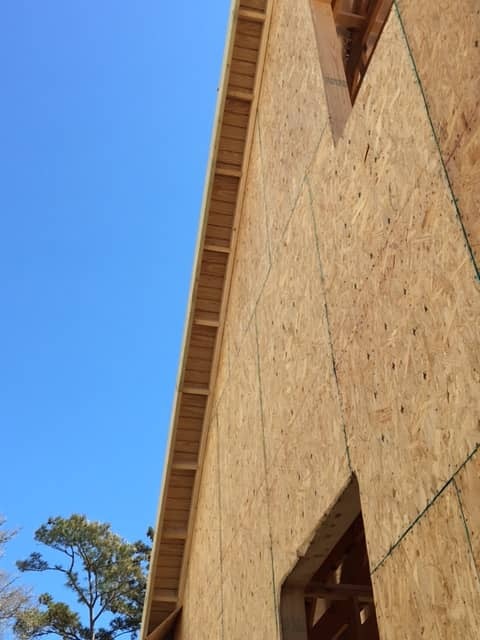 For one it requires metal roofs, permeable pavers for driveways and walkways, as well as detailed siding and soffit details. 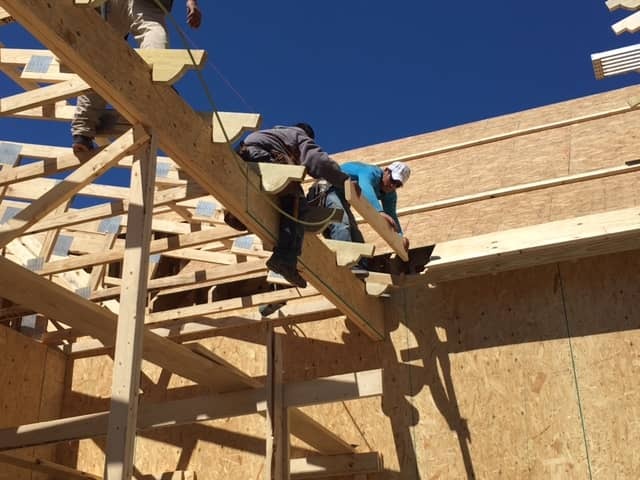 This raised crawl space will have a spacious layout, 10′ ceilings , 8′ doors, craftsman materials inside and out, composite decking and feature hardie plank siding. The landscape will consist of small swells to accommodate the stormwater runoff that is required by the town.